ABU DHABI, 21st February, 2017 (WAM) -- Al Marakeb Boat Manufacturing Company signed an agreement with Dubai Civil Defence on February 20 to initiate a project to provide them with an Unmanned Surface Vessel. Al Marakeb will provide Dubai Civil Defence with a fire fighting vessel which can be operated remotely in an environment that would be difficult or dangerous for conventional approaches. Dubai Civil Defence has been on the search for a firefighting system that has fast response and is easy to maneuver, while Al Marakeb is in the business of providing the technology to serve this purpose. The vessel will be capable of fighting fires being operated from the Al Marakeb’s Ground Control Station which can receive visual images from the USV in normal, low light or nil visibility. 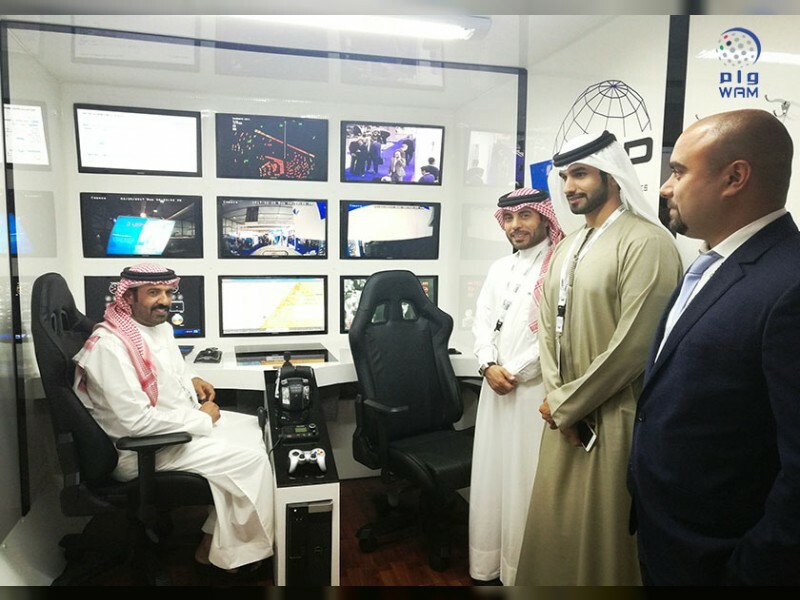 This announcement follows Al Marakeb’s participation at the International Defence Exhibition and Conference (IDEX 2017) and the Naval Defence Exhibition (NAVDEX 2017) where it is showcasing both the B10, a 10 meter USV and the Ground Control Station (GCS), a fully functioning room for the purpose of operation controls of an unmanned boat or fleet, built within a 20 feet container. Business Development Manager Mubarak Ahmed Buosaibah said, "We are very proud to present this agreement with Dubai Civil Defence, an entity that is always seeking the latest and most advanced technologies and are particularly excited to take on this project." He added, "As a local company, it’s always a priority to serve our nation." Major-General Rashid Thani Al Matrooshi, Director-General of the Dubai Civil Defence, said, "This agreement enlists the expertise of Al Marakeb Company to develop the fire extinguishing services of the Dubai Civil Defence and to increase the speed of responses for marine accidents. We seek to eliminate the human factor, and we look forward to seeing this happen with the implementation of this collaboration with Al Marakeb in the near future, exclusively for Dubai."